Route 30, running parallel to I-90, is an important commuting route for the region. The intersection with Wellesley Street, located adjacent to both the Town’s Middle and High Schools, experienced significant congestion and was listed in the Top 5% of High Crash Locations in the MAPC region. 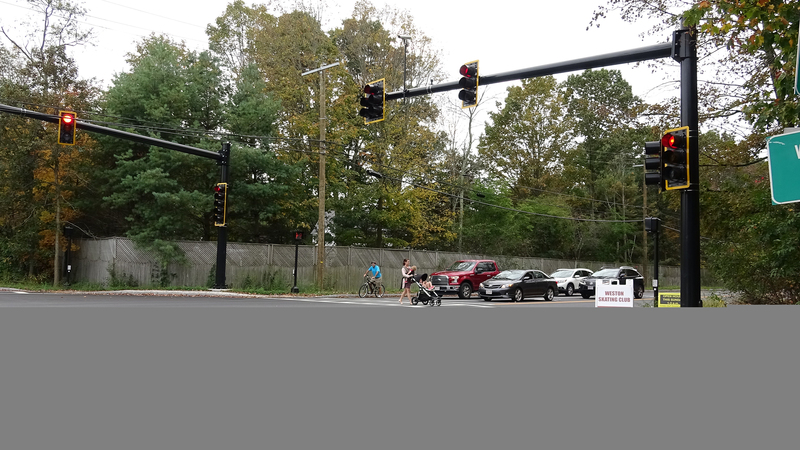 The Town selected HSH to design traffic and safety improvements for this intersection. 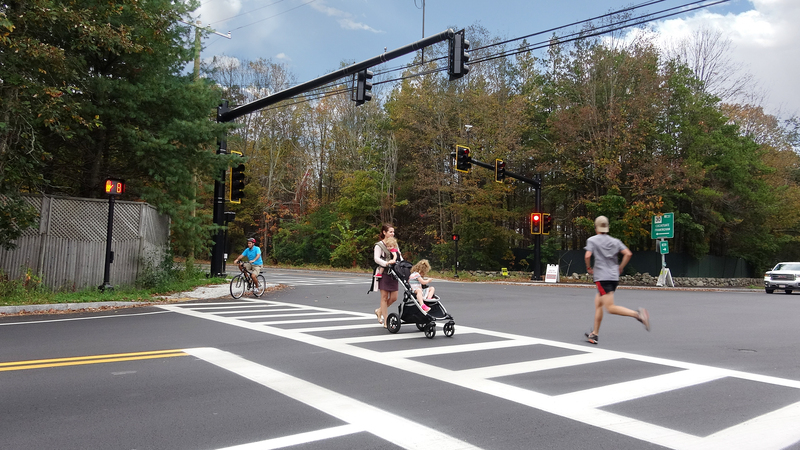 The $1.8M MassDOT funded project was completed in the Fall of 2017. 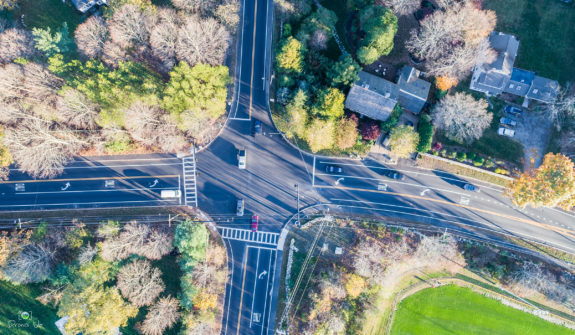 Prior to developing the design plans, HSH advanced the intersection improvements by conducting a Road Safety Audit (RSA) which prioritized the project’s placement on the Massachusetts Statewide Transportation Improvement Program (STIP). “The professional design, permitting, and construction team at Howard Stein Hudson took over the design and permitting from another consulting firm and advanced the project through the Massachusetts design and permitting process which ultimately lead to its inclusion on the TIP”, said Tom Cullen, Director of Operations, Department of Public Works for the Town of Weston“, said Tom Cullen, Director of Operations, Department of Public Works for the Town of Weston. 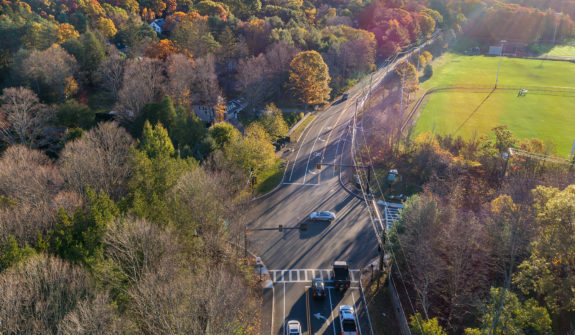 As a scenic roadway in the Town, Wellesley Street is protected by a set of Town By-Laws to maintain its scenic beauty, aesthetic value, and historic significance. 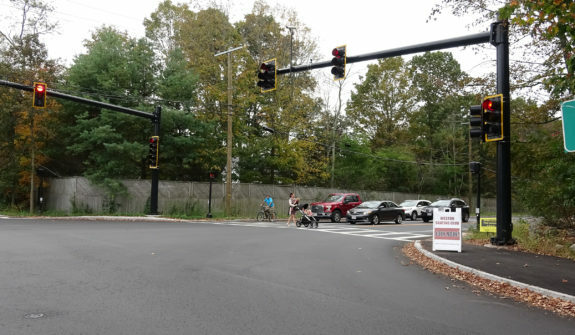 Collaboration with the Town’s Planning Board and Department of Public Works resulted in realigning Wellesley Street to retain a 250 foot section of historic stone wall maintaining the aesthetic value of the roadway. HSH also maintained an active role during the entire construction duration, supporting MassDOT’s oversight of the construction process. 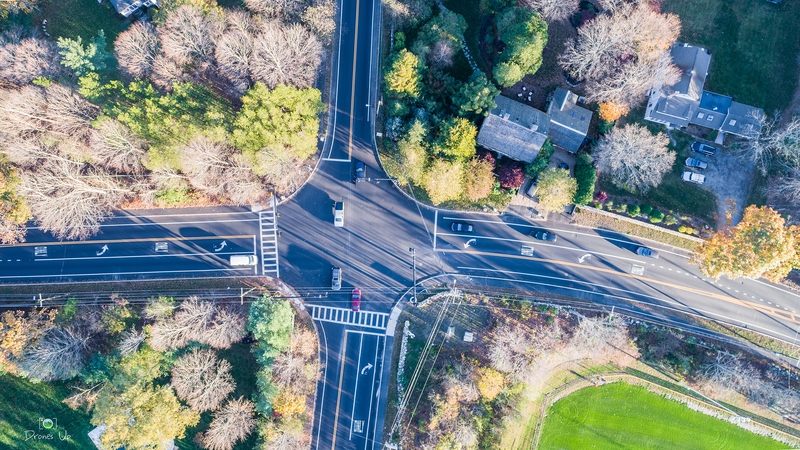 Included on the State’s list of infrastructure improvements positively affecting communities in Greater Boston, the Weston Route 30 intersection with Wellesley Street is an example of improving infrastructure to meet the demands of communities, residents, and commuters: Read more. 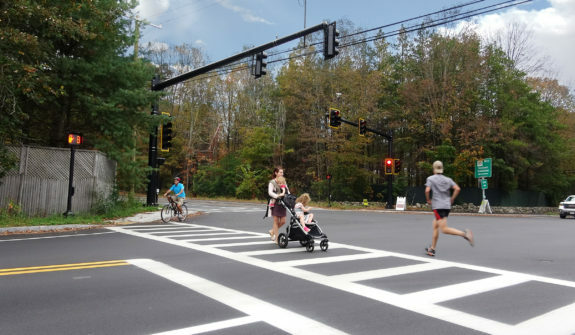 "The Team knew that management of traffic was the critical piece of a successful construction project noting two commuter roadways, a college (Regis), and the Town’s High School and Middle School located at/about the project limits. I believe this project was not only a successful project for the Town, but also as a regional project."